The best business hotels in Kuala Lumpur are conveniently set within the city’s premier business districts, offering easy access to public transportation and an extensive range of state-of-the-art facilities that are specially catered for guests travelling on business. 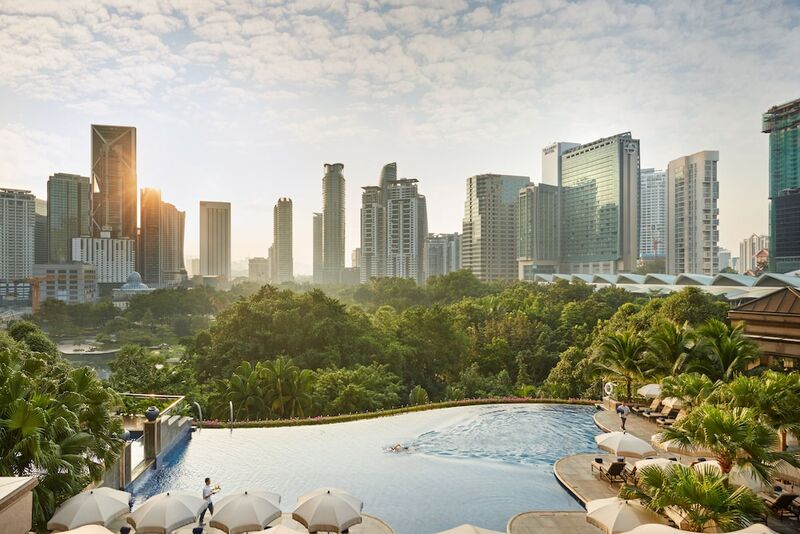 As most of these properties are located in KLCC, the commercial and business focal point of Kuala Lumpur, they make wonderful bases for time-conscious travellers. Guests can also enjoy a number of leisure facilities during their stay in these hotels, including swimming pools, fitness centres, and an array of onsite restaurants. The most popular Kuala Lumpur business hotels are equipped with the latest technology of the 21st century in mind to serve the international business community. Featuring modern business amenities such as on-site conference rooms, complimentary wireless Internet access, and 24-hour secretarial services, our 10 Best Kuala Lumpur Business Hotels have also earned their spots due to their personalised service, upscale facilities, and spacious rooms with rates that are pretty fair by international standards.